On my Mac OSX Mojave machine.. I installed Ubuntu 18.04 to attempt to dual boot on the internal Apple SSD. Worked for a while, but after some updates to Ubuntu... hitting the power button boots up to a GRUB terminal, and when hitting the option key there is no 'Macintosh HD' as a startup option. I have seen 2 similar posts on this topic, but none of them appear to exactly match as far as partitions go here and here and I am hesitant to try something that would wipe out or corrupt my OSX data that I know is still on the SSD/drive. I then do a disktuil info /dev/disk0s2 to look at the info. What can I do to make it so that I can fix my OSX boot partition without losing any files. 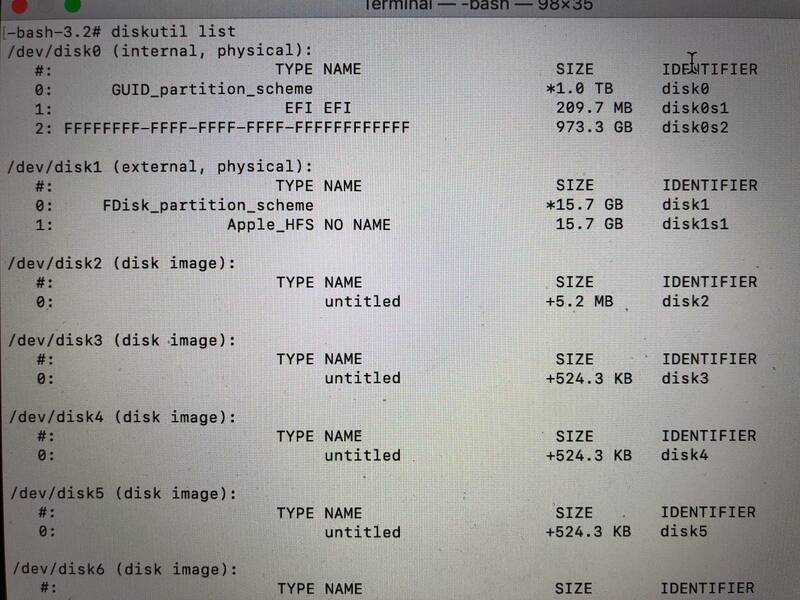 The disk that my OSX files are stored are on disk0s2, which is the FFFFFFF partition... how do I fix up my ability to boot into the OSX Mojave without wiping out my data or is there a way? Does APFS have anything to do with this? At this point I don't care about the Ubuntu 18.04 partition, but I do not want to lose any data on the 900+GB partition, which is all my the Mac files are. Usually when the FFFFFFFF-FFFF-FFFF-FFFFFFFFFFFF error occurs, the partition starting and ending values are still correct. I assume this is true in your case. If I am correct, then you need to enter the following commands to change FFFFFFFF-FFFF-FFFF-FFFFFFFFFFFF to 7C3457EF-0000-11AA-AA11-00306543ECAC. The EFI partition (disk0s1) is used occasionally by macOS, so you need to keep this partition. However, Grub files were added to this partition when you installed Ubuntu. The commands below will remove any Grub files that may still exist on the EFI partition . You can enter these commands while booted to macOS. To add the free space back to macOS, enter the command given below. You can enter this command while booted to macOS. Not the answer you're looking for? 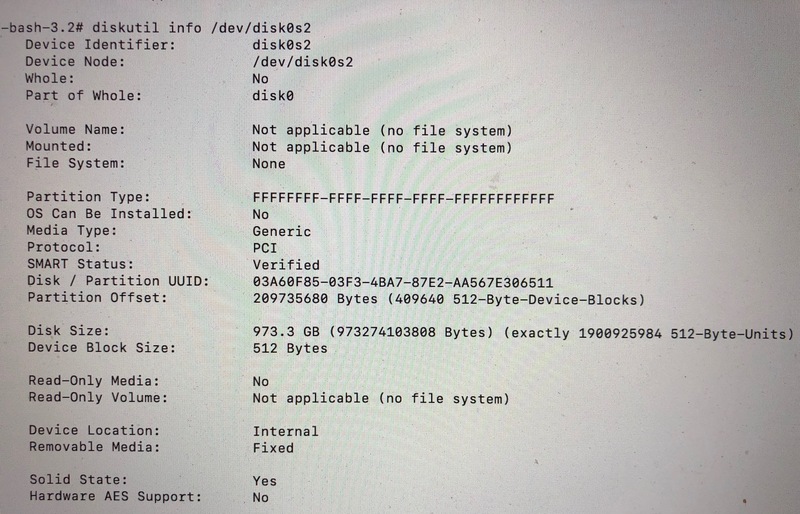 Browse other questions tagged macos hard-drive partition mojave dual-boot .